The appearance of Bahraini footballer Hakeem Al Araibi, shackled before a Thai court this week, caused quite an outburst of ill will towards Thailand and Thai authorities online, much of it from younger and more liberal westerners. The young footballer, who maintains his innocence, is only 25 years old and came to Thailand on a holiday with his newly married wife. A Thai court set an April 22nd date for an extradition hearing for the footballer but refused him bail as a flight risk. This may see him in prison until August this year when the court finally pronounces its verdict. The plight of the young footballer has prompted emotional social media reaction which seems oblivious to the legal and practical facts of the matter. A blunder by Australian police saw a red flag alert issued within the international Interpol system to arrest Hakeem Al Araibi on November 8th 2018 when as a refugee, this should never have happened. Once in Thailand, Thai authorities had no option but to comply with its Interpol treaty obligations. Later, when an extradition request was received from Bahrain, the matter became an issue for the Thai courts under those obligations. The social media outpourings are emotional but the legal facts are stark and clear. The Bahraini national is a convicted criminal in his home country. Hakeem fled Bahrain from Qatar in 2014 after being sentenced to 10 years in prison. He is also, however, a confirmed refugee under Australian and international law who should not have been the subject of an Interpol arrest warrant in the first place. Thai officials are now reportedly desperate to broker an agreement or even some understanding between Australia and Bahrain but the one thing they cannot do is disrespect Thailand’s own laws and legal process. The controversy over a Bahraini footballer whom a Thai court ruled this week must face an extradition hearing scheduled for April 22nd escalated after social media outrage at his continued detention and his appearance in court wearing shackles. However, at the core of the story is a mistake by Australian police who issued a red flag notice through Interpol for the former Bahraini national football team player and now refugee in Australia on November 8th 2018 despite the Australian resident being formally confirmed as a refugee since 2017. 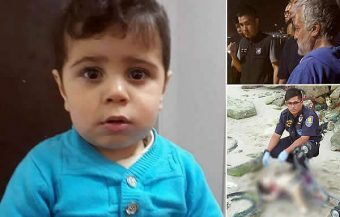 This was nearly three weeks before the Bahraini man and his wife flew to Thailand on holiday with assurances from Australian Immigration officials that, as a refugee, he was safe anywhere in the world except for Bahrain. Hakeem Al Araibi appeared in front of a Thai court this week where an extradition request from Bahrain resulted in an extradition hearing for the ex Bahraini national football team player being scheduled for April 22nd next with bail denied as the court considered him a flight risk. Al Araibi had fled Qatar in 2014 to Australia via Thailand when he heard, by phone while staying in Qatar, playing for the national team, that he had been sentenced to 10 years in prison by a Bahraini court for vandalism of a police station in 2012 with his political activist brother and another accomplice. It is a charge he vehemently denies and says he played in a televised TV game shortly before the police station was attacked. This was during the 2011 to 2014 uprising by Shias in Bahrain against the Sunni minority and monarchy which rules that kingdom. 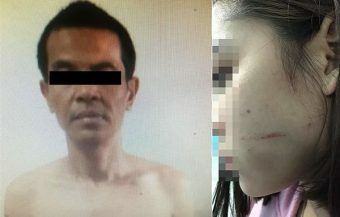 Granted refugee status in 2017 formally by Australia, he planned a trip to Thailand on a week long holiday with his newly married wife but an Australian police unit put him on an Interpol arrest list despite it being prohibited in cases where the subject is a refugee. It has now emerged that Al Araibi was assured repeatedly by Australian Immigration officials that his trip to Thailand was safe despite reservations he had after being warned by his sister in Bahrain. 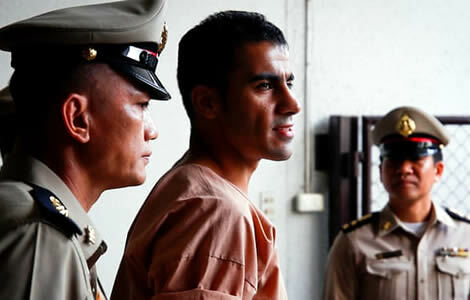 Thailand’s government this week firmly insisted that Thai law and the country’s legal process will not be compromised despite the outburst of social media rage towards Thailand and Thai authorities following the decision by a Thai court to remand the Bahraini footballer Hakeem Al Araibi in custody until the Thai courts can consider a formal extradition request from Bahrain. The footballer was convicted in Bahrain in 2014 on charges of vandalism following an attack on a police station during an outbreak of unrest in that country in 2012 that was linked with the Arab Spring uprisings which began in 2011. The footballer fled the country after hearing of his conviction while on bail and visiting Qatar as a member of the Bahraini national football team. He subsequently fled to Australia via Iran, Malaysia and Thailand. In Australia, he applied for refugee status and was formally granted that status by Australian authorities in 2017. Hakeem Al Araibi was convicted and sentenced approximately 5 years ago and the footballer had settled in Australia with his wife, another Bahrain national whom he subsequently married there. This was the position until Hakeem decided to visit Thailand on holiday in November 2018. There are now credible reports that well before the footballer arrived from Australia on a flight from Melbourne to Bangkok on the 27th November 2018, he was already marked down for arrest by Australian officials acting for Bahrain as part of the Interpol worldwide arrests system. It has emerged that the Australian office of Interpol issued a ‘red flag’ notice to authorities in Bangkok weeks before Al Araibi ever arrived in Thailand for his short holiday accompanied by his wife. Indeed, Hakeem Al Araibi had been flagged on the Interpol system on November 8th, the same day his visa to travel to Thailand was approved in Melbourne. 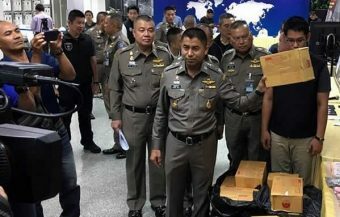 This resulted in the arrest and detention of Hakeem Al Araibi at Bangkok’s Suvarnabhumi Airport on his arrival there with his wife on the 27th November 2018. The Bahraini footballer had been tried by a Bahrain court and sentenced to 10 years in prison for the offences involved in the attack on a Bahraini police station in 2012. The verdict was made known to Hakeem while he was abroad during a 2014 visit by the Bahraini football team to Qatar. His brother, who along with another individual was convicted and sentenced on the same day, is currently serving his prison term in Bahrain. Al Araibi strenuously protests his innocence of the charges and strikingly, claims that he was playing in a televised soccer match with a popular football team in Bahrain on the day in 2012 that the crime was committed. The match reportedly took place shortly before the attack on the police station occurred in Bahrain. This was a year after the 2011 Bahraini uprising began as part of the Arab Spring movement. The uprising was active from 2011 until 2014 and saw a huge crackdown by Bahraini security forces against the Shia majority. Bahrain is a wealthy country with a Shia majority population but it is ruled by a Sunni minority lead my a powerful monarchy. Protected by the United Kingdom as a protectorate until independence in 1971, it was forced to hold a referendum when the then Shah of Iran claimed sovereignty over the island on the North east coast of Saudi Arabia. The country has a poor human rights record despite some attempts by Bahrain to introduce democratic measures and improve conditions over the decades. From 2007, human rights in the country deteriorated and the 2011 to 2014 uprising has put authorities there in a defensive mode. A strong US ally, the country was directly criticised in 2017 by Rex Tillerson, then US Secretary of State, for discrimination against its Shia majority whom authorities suspect are plotting in association with Iran, to overthrow the monarchy. This fear is not without foundation as there have been attempted coups and uprising in Bahrain in the past. Hakeem’s problem with authorities began in 2012. He was picked up off the street by security services. He stood accused of vandalizing a police station with a gang including his brother. He has admitted that his brother is a political activist. Al Araibi has described his horrendous experience while in prison in Bahrain. He said he was beaten continuously for hours without being interrogated. He completely denies the charges against him. ‘It was hell for me,’ he said, describing his Bahraini prison experience. ‘For the first two days, they blindfolded me and beat me in the face and legs, telling me I would never play football again. Five hours straight, many police beat me. They poured cold water over my face and back. They were not even trying to get a confession out of me and whenever I asked them: ‘What did I do?’ they would just scream ‘shut up’ and beat me more,’ he told respected UK newspaper The Guardian recently when reporters from the newspaper visited the jailed man at Bangkok’s Remand Prison. Released on bail after three months spent in prison, he subsequently got on with his life as a footballer in his home country. Hakeem was playing a match in Qatar in 2014 with Bahrain’s national football team when he received a dramatic phone call. He was told that he, his brother and another accused, had been found guilty by a court in Bahrain of vandalism and sentenced to 10 years in jail. The Bahraini footballer had never considered any possibility of being found guilty on such a ‘flimsy’ charge and had put his initial arrest and the charges brought against him down to state harassment because he was a Shia and his brother was politically active. 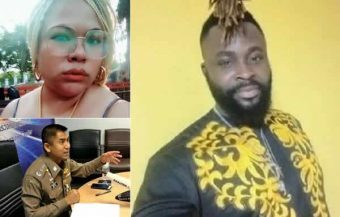 At the beginning of November, Hakeem’s ordeal seems to have begun when he decided to take his wife on a ‘honeymoon’ holiday to Thailand for one week. In early November, he was found making preparations for his trip booking flights and organizing his immigration visas for Thailand through the Thai consulate in Melbourne. He applied for his visa on the 4th of November 2018 and it was granted on the 8th of November 2018. This is the same day that an Interpol ‘red notice’ was ‘granted’ under the Interpol system to Bahrain for the arrest of what Bahrain considered to be a simple fugitive from justice. 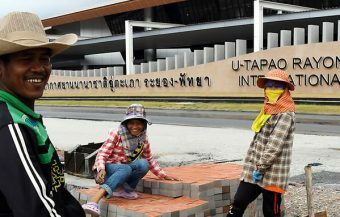 There has been a lot of speculation and confusion surrounding what happened but it is clear now that this is the cause of the diplomatic impasse that has developed and that, as things stand, can only be resolved by the decision of a Thai court subject to Thai law and procedures, certainly not to public opinion. It is understood that the action to place Hakeem on the ‘red flag’ arrest list was taken by a unit Australia’s Federal police, acting for Interpol. This red flag notice was issued in error as Interpol’s own procedures stipulate that subjects designated as refugees are exempted from such notices. Hakeem Al Araibi had been formally granted refugee status by Australia in 2017. The red notice was duly rescinded by Australian authorities on December 4th 2018 but, by that time, Hakeem Al Araibi was already detained by Thai authorities under the Interpol order and facing a formal extradition request under the protocols of the Interpol international agency which operates under the aegis of the United Nations. 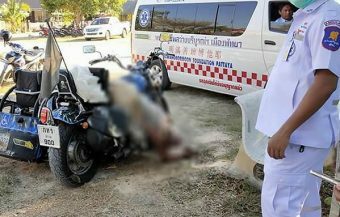 Thailand’s authorities have been reported to have a certain discretion in these cases under Thai law. 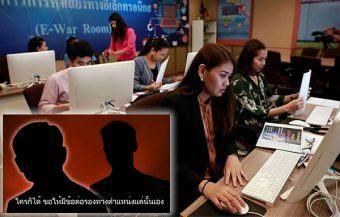 This was admitted by a Thai prosecutor at the hearing on Monday but the country has to be seen to keep international agreements and the protocols of the Interpol system. Last year, Thai authorities released a Cambodian activist with refugee status from Denmark, after he was arrested at a Thai immigration centre and was on a wanted list from Cambodia after being sentenced to a 9 year prison term. 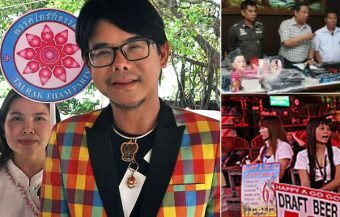 Sam Serey was arrested at the end of April 2018 and although Cambodia sent extradition papers, the Thai government chose to deport him back to Denmark as a refugee in May 2018. The move was applauded by human rights and UN agencies at the time. 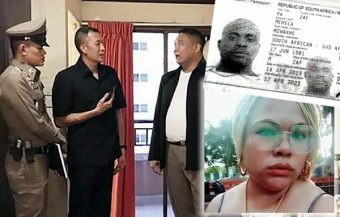 However, it is important to note that Mr Serey was not arrested under an Interpol red flag notice and this could possibly be a key issue when examined by a Thai court at the end of April if there is no diplomatic breakthrough. The Thai Ministry of Foreign Affairs this week issued a strong statement in response to the growing international outrage from human rights groups, the Australian government and supporters of the footballer in Australia. It said: ‘Thailand does not gain anything from holding Mr Hakeem in custody. But as a sovereign country that has legal obligations and commitments to the international community, Thailand finds itself in the middle of a case involving two countries competing for Mr Hakeem’s custody.’ It should also be noted that we are now in the course of a Thai general election campaign and while the Thai public will be concerned about any injustice or criticism of Thailand, they will equally be appalled at Thailand’s sovereignty being disrespected by undue and inflammatory political pressure. It appears that Hakeem himself had some doubts about the fate that might await him on his holiday visit to Thailand. His sister in Bahrain had warned the footballer that it was a dangerous move. However, Australian authorities had assured Hakeem Al Araibi that he would be completely safe. This compounds the initial mistake by Australian authorities who were directly responsible for the issuance of the red flag Interpol notice in the first place. The footballer even took the precaution of making contact with Australian immigration officials. He checked with them to see if his passage to Thailand was secure. He says that he was given repeated assurances that his position was secure. He recalled that the officials told him that he was safe anywhere in the world apart from the Kingdom of Bahrain. They were wrong as their colleagues in an Australian Federal Police unit linked to Interpol would have known. They already had put a ‘red flag’ notice for Bahrain on Hakeem Al Araibi’s name on the powerful Interpol international system which is a vital tool to the security interests of all nations worldwide. Hakeem Al Araibi was arrested at Suvarnabhumi Airport on November 27th after arriving from Australia under the red flag Interpol notice placed by Australian police acting for Interpol. Thailand was not informed of his formal status as a refugee. 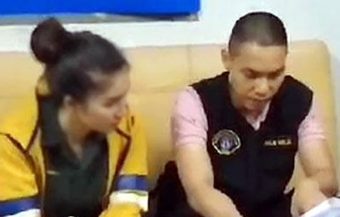 The arrest and detention were made by Thailand’s Immigration police operating under Thailand’s international treaties and obligations under international law. By the time the red notice was rescinded by Australian authorities, a full 1 week after the mistake, legal procedures had already commenced in Thailand following an official extradition request from Bahrain where Al Araibi is seen as simply a convicted offender on the run. Thailand has now repeatedly explained that its government cannot interfere with the judicial proceedings in its own country which are independent of government influence. It must be said that another force is also at work here. There is a certain antipathy, in some quarters, towards Thailand because of its no nonsense approach to immigration and what is considered to be a patriarchal, conservative culture. It surfaces constantly in international media coverage and popular opinion outside the Kingdom. 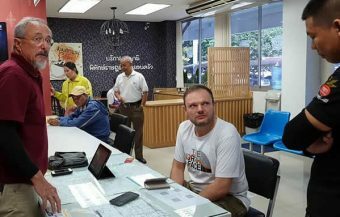 To put it bluntly, there is sometimes a lack of respect for Thailand’s own, unique system of government as well as its strongly valued independence and sovereignty among some, extremely liberal people worldwide. Thailand and the Thai public maintain many old fashioned principles which are unique in the world and which many liberal westerners see as out of date. This includes, for instance, a robust approach to immigration. The appearance of Hakeem Al Araibi in shackled prison garb, unfortunately reaffirms this stereotype among many in these liberal quarters. In western countries, there are many people like this including some in the media, who see Thailand as an unreformed bastion of conservatism and nationalism. This prejudice is, of course, misplaced in some respects. Thailand is certainly independent and nationalistic but it is also this year the leader of the ASEAN community, a collection of Southeast Asian of nations committed to further cooperation and indeed integration between the nations involved. It also sees itself as a reliable and friendly international partner in a community of nations. While Thailand does not always conform with more extreme liberal western ideals or perceptions, it is a country with its own distinct system which tries to be impartial and fair, a reflection of the opinion and values of Thai people themselves. These are opinions, like everywhere, that are evolving but in Thailand perhaps more slowly due to strong traditional values. The support given to the young Saudi Arabian woman, Rahaf Mohamed Alqunun, on her flight from persecution in Saudi Arabia and subsequent arrival in Canada by Thai officials and authorities last month, was not some calculated act designed to gain world wide approval, but a reflection of Thai culture and its own values which aim to preserve personal liberty and life where possible without interfering with others. The social media outrage, particularly on Twitter is surely genuinely felt but it fails to appreciate the real issues involved. There is an election in Thailand on March 24th. 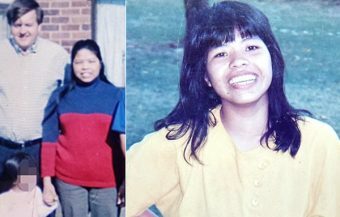 While Thailand prides itself on being a good international partner to all countries from North Korea to the United States, it cannot be seen to ride a coach and horses through its own legal processes to rectify a mistake made by Australian officials who mishandled the Interpol apparatus and failed to check if Hakeem Al Araibi was a confirmed refugee in Australia. It is clear to everyone that the young Bahraini footballer has been badly handled in this matter, however. 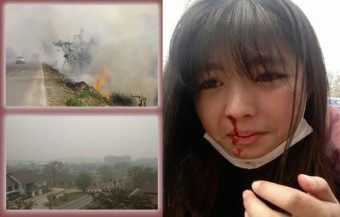 In today’s social media outrage many people, particularly younger people have little time for what they see as legal niceties in what many among them would like to see as a global world. However, the ability of Al Araibi to flee to another jurisdiction from what he saw as persecution in his own, would also be impossible in a global world without the rule of law. The legal process now sees a court hearing in Thailand scheduled for April 22nd. This will examine all the facts of the matter. However, having been denied bail as a flight risk, it could mean that Al Araibi will be jailed in Thailand until August before the Thai court pronounces a verdict on the issue. It is clear that this process will go ahead unless the Bahraini government withdraws its extradition request as Thailand has made it clear that cannot interfere with its own legal procedures. Repeated international calls to do so, risk disrespecting Thailand and its sovereignty. The legal position before the Thai courts, it must be understood, is that of a convicted criminal who fled the course of justice in Bahrain. The question of the validity of his arrest in Bangkok may be looked at and could be crucial. It is noteworthy that the Head of Immigration in Thailand, Major General Surachate Hapkarn, in arranging to meet the Australian ambassador, requested that Australian authorities provide more information on the detained man’s refugee status. It is reported that Thai officials expect any court hearing to be lenghty. Witnesses can be called and various issues raised. The footballer claims that he was abused and tortured while in prison for 3 months in Bahrain. He also strenuously believes that this is a political vendetta against him by members of the Royal family in Bahrain who, he claims, harbor prejudice against him because of his Shia faith and the political activities of his brother. Reaction to the sight of the Bahraini footballer in chains and shackles, as he arrived in court in Monday, have inflamed his supporters and those who are regularly critical of Thailand. 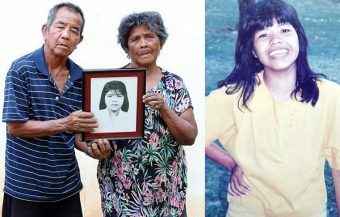 Australian Prime Minister Scott Morrison who had already written to Thai government seeking the release of Al Araibi, said that the images were ‘disturbing’ to him and many Australians. It should be noted that many Australians are descendants of Irish and UK prisoners sent to that country in the 18th and 19th century in chains. The image to many in western countries carries with it a sense of injustice although in the United States such practices are normal for US corrections officers and hearings. Australia has also claimed, through the Australian ambassador in Bangkok, that Bahrain should not have proceeded with the extradition as it was aware that Mr Al Araibi was a resident in Australia. The fallout from the social media tsunami and outrage at the detention of the Bahraini football player and his appearance in shackles continues. There have been online calls to boycott Thailand and already a sporting fixture involving an under 23 football team from Australia in Bangkok has been cancelled. 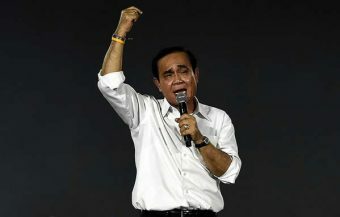 Thailand’s Prime Minister, now out campaigning for Thailand’s up and coming March general election, pleaded for calm in the matter and for people not to get excited. 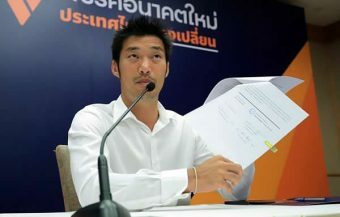 It follows a call from Australia’s Foreign Minister for Thailand to act to release the footballer under discretionary powers provided for in Thailand’s own extradition laws. 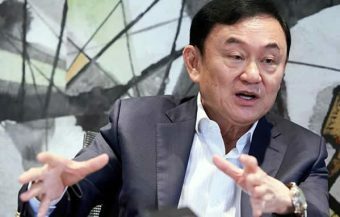 The Thai Foreign Minister, Don Pramudwinai, has called for Australia and Bahrain to have talks on the matter as a way of bartering solution. He has offered to facilitate such a meeting as the best way of ending what is turning out to be a diplomatic nightmare for all three countries. The continued imprisonment of the Bahraini footballer is also drawing critical attention to links between Bahrain’s Royal family and the upper echelons of the soccer world as well as to that country’s less than satisfactory human rights record. Meanwhile, the Head of Thailand’s Correction Department, Police Colonel Naras Savestanan, has defended the decision by prison officials to place shackles on Al Araibi for his court appearance on Monday. This is legal and in certain situations required according to the judgment of officials and Section 21 of Thailand’s Corrections Act. The prison boss said that prison officials determined that it was a case of strong public interest and opted for security and safety to ensure that the prisoner did not escape custody. 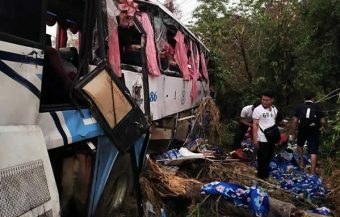 The prisons boss explained himself to the Thai public saying that Thai prison officials had a duty to ensure public safety when transporting prisoners to and from Thai prisons. He accepted that some people may see this as a human rights issue but assured the public that his department was well aware of its obligations to all prisoners in Thailand under applicable human rights provisions. Colonel Colonel Naras Savestanan is known in Thailand a reform minded head of Thailand’s prison regime. An official at Thailand’s Attorney General’s Office, Chatchom Akapin, who is Director General of the International Affairs Department has made it clear that the footballer’s status is not that of a political prisoner but that of a convict who has fled justice in Bahrain. It is important also to note that Bahrain and Thailand do not have a bilateral extradition treaty. The arrest and detention of the Bahraini national, refugee and Australian resident was brought about by Thailand’s involvement with and obligations under its association with Interpol. Interpol is an agency operating under the United Nations and associated treaties between all countries involved.